Caj Boatright has made a habit of winning exceptional verdicts and settlements for his clients. In fact, in the last couple of years, it would be difficult to find another trial lawyer who has tried more cases to verdict and obtained more multimillion-dollar settlements even though Mr. Boatright has spent only five years of his 15-year legal career representing plaintiffs. His winning formula rests on his strong sense of justice and a belief that the American jury system is the best way to help people get what they deserve. He does his best to make sure his clients receive maximum compensation when companies refuse to take responsibility for wrongful conduct. At the start of his career, Mr. Boatright spent four years practicing complex commercial litigation and appellate law at one of the largest and most respected firms in Texas. He also served as law clerk for Judge Reynaldo Garza on the U.S. Court of Appeals for the Fifth Circuit. Additionally, Mr. Boatright spent five years handling high-stakes litigation for Exxon Mobil Corp., overseeing some of the company’s largest cases in various states with billions of dollars of exposure. This wealth of experience on the corporate side now serves him well as he represents injured men, women and children. Mr. Boatright has been honored as a “Top 100 Trial Lawyer in America” and was invited to join the Million Dollar Advocates and Multi-Million Dollar Advocates Forum® for his courtroom accomplishments. 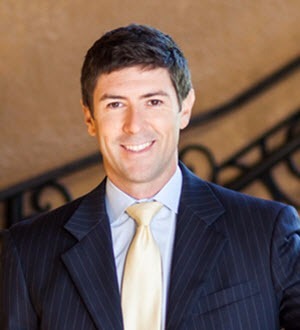 He has been selected to the Texas Super Lawyers Rising Stars list of young attorneys multiple times. A native of the small west Texas town of Sweetwater, Mr. Boatright attended Southwestern University in Georgetown, Texas, where he graduated with honors. He earned his law degree at the University of Texas School of Law, which he attended with law firm founders Kurt Arnold and Jason Itkin. He was the first lawyer to join Arnold & Itkin when the firm was launched.